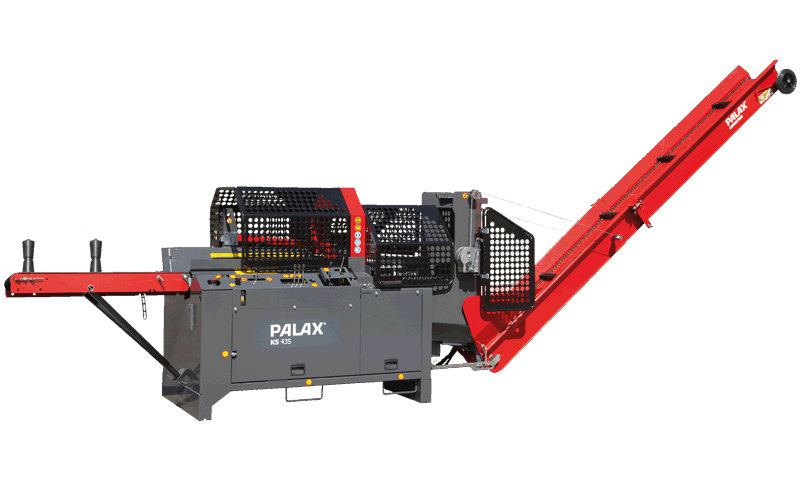 The Palax KS45S firewood processor is a heavy-duty processor aimed for the professional contractors. 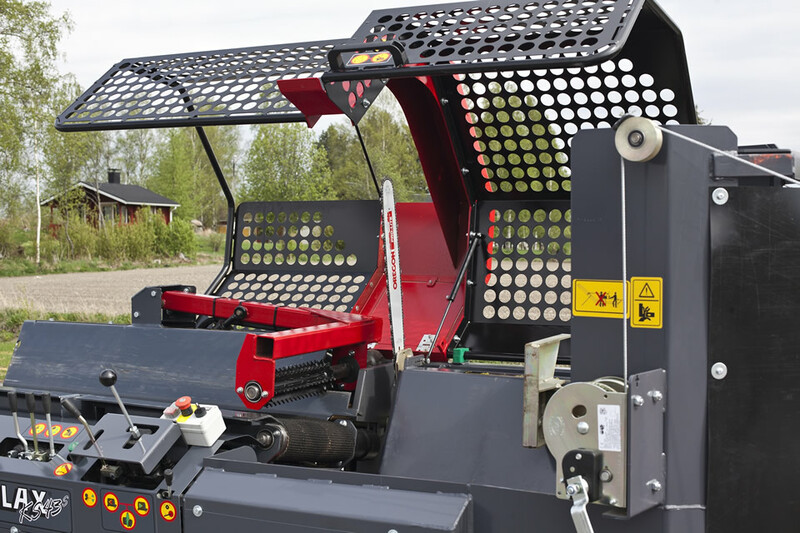 The machine has a fully hydraulic joystick control system which results in an easy to operate user-friendly unit. Among the machine's innovations there is a press and drop plate that drops the wood to the correct position for splitting. 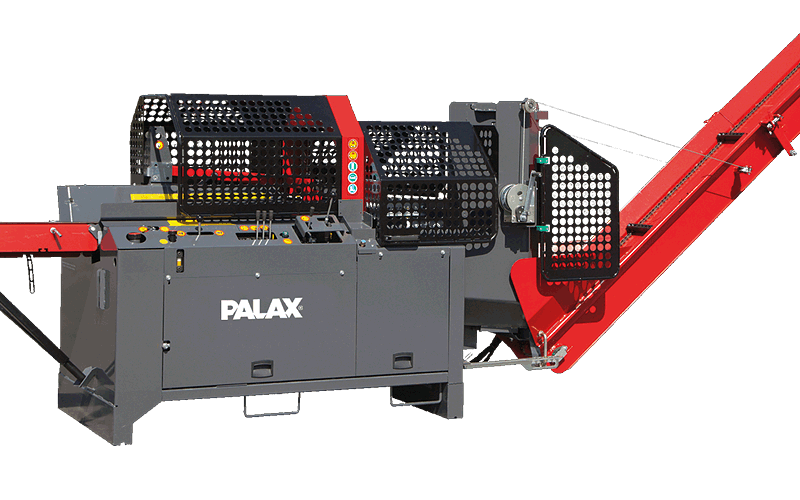 The Palax KS45s machine has a powerful crosscut chainsaw with a 20" sawbar to process up to 17" diameter wood. Wood-splitting begins automatically after the wood has been cut into lengths. 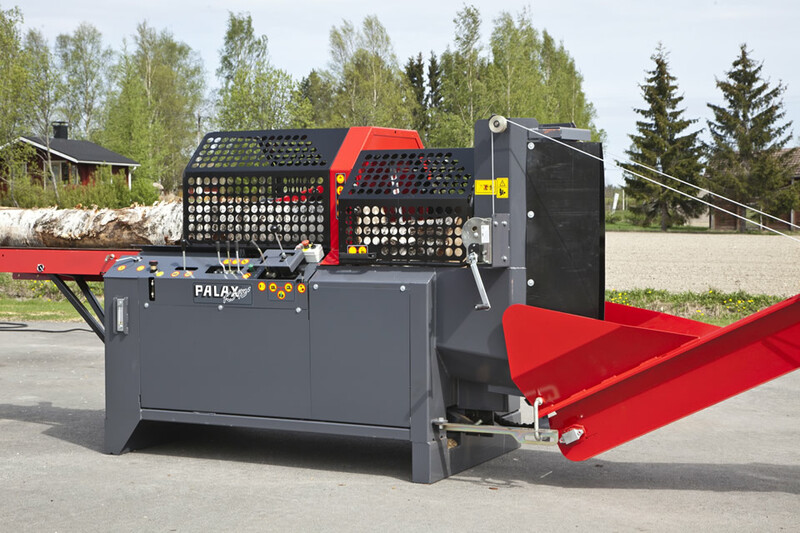 The machine has a new patented three-speed cylinder with up to 16 tonnes of force for big blocks of wood. 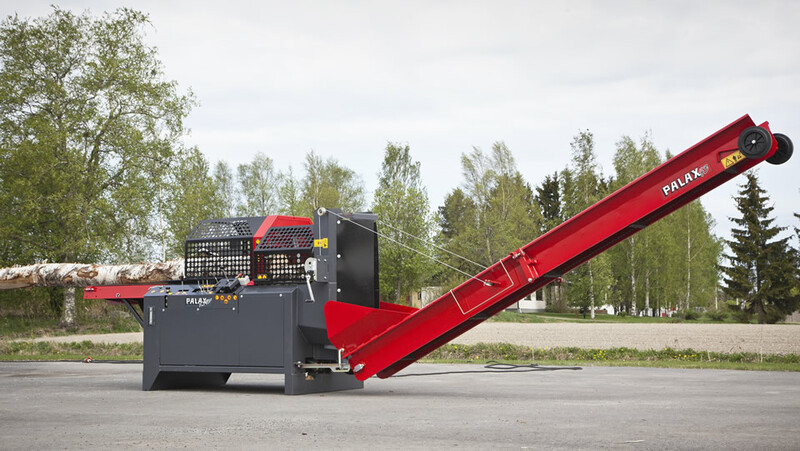 The unit has a 4.3 m / 14.1' long hydraulic swingable discharge conveyor The machine is hydraulically operated and has no V-belts. Sawbar 20" with 0.325" or 20" harvester guide bar with 0.404"
In-feed conveyor, belt 330 mm x 2,500 mm / 13" x 98.4"
Max. diameter of log: 43 cm / 17"
Length of log: 25 to 55 cm / 9.8 to 21.7"